Place tuna steaks in a steamer over 1 inch of boiling water, and cover. Cook 6 to 8 minutes, or until fish flakes easily with a fork. Meanwhile, in a medium saucepan, combine soy sauce, sherry, extra virgin coconut oil, green onions, ginger, garlic, salt, and black pepper. Bring to a boil. 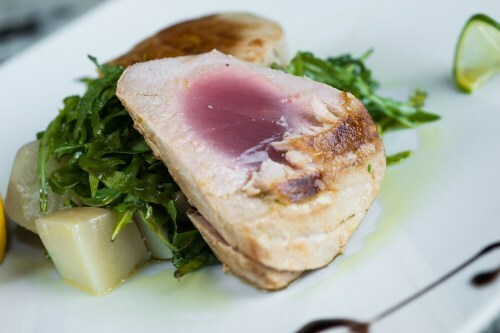 Remove tuna steaks from steamer, and place in a serving dish. Pour sauce over tuna steaks, and serve immediately.